New Utah Gardener: Daylily - My Favorite Perennial! Daylily - My Favorite Perennial! The daylily is my favorite perennial. Ok, I have lots of favorite perennials, but daylilies are in my top 5. They love heat and sun, they are moderately waterwise, and they are stunningly beautiful. 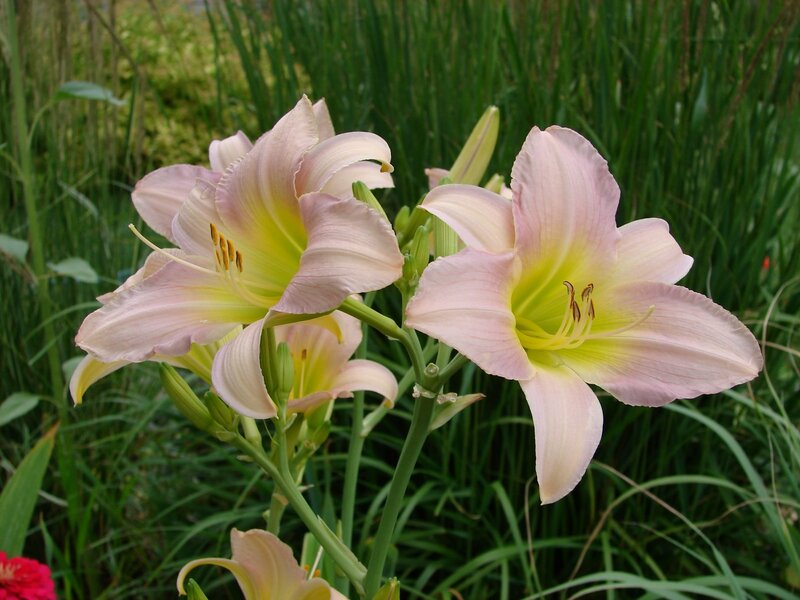 Daylilies are easy to grow and are not fussy about soil. Their un-opened buds are edible! In Utah, they bloom from late June through early August, depending on the variety. There are thousands of varieties to choose from, ranging in color from white to black and every color of the spectrum in between - except true blue. Daylily hybridizers have for years been trying to produce a blue daylily. They have come close with some lavenders and purples. Daylilies are a "must have" for any serious perennial garden.